India vs Australia 1st ODI Sydney: The stage is set for the last phase of India's Australia tour, when Virat Kohli and Co. will take on the dispirited hosts in the three-match ODI series, which will begin from January 12 in Sydney. 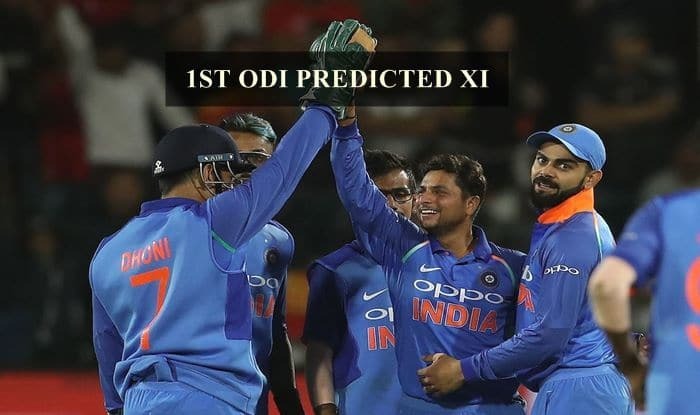 India vs Australia 1st ODI Sydney: The stage is set for the last phase of India’s Australia tour, when Virat Kohli and Co. will take on the dispirited hosts in the three-match ODI series, which will begin from January 12 in Sydney. After the historic Test series win 2-1, India will be boosted up for the ODIs and will be looking to win the third and the last series of the tour. The hero of the series, Jasprit Bumrah has been given rest for this series as well as upcoming New Zealand tour and is replaced by Mohammed Siraj. So, what will be the XI India will look to field at SCG. For starters, the Virat Kohli-led team has already got a taste of the ground when they had Australia on the mat in the final Test, only for rain to come and save the blushes for the hosts. This time, the format is different and India with MS Dhoni and the ODI specialists joining the team, it will be a new-look India. At the top, with KL Rahul out-of-form, India should stick to Shikhar Dhawan and Rohit Sharma, a pair that has reaped rewards in the past in white-ball cricket. At one-down, without any doubt the best batsman in the world, Virat Kohli will play. There is a toss-up between Dinesh Karthik and Ambati Rayudu for the No 4 position. Given the good form, Rayadu showed against Windies at the end of last year, where he got a century in the 4th ODI, he pips Karthik to that spot. That will be followed y MS Dhoni, who can pace the innings well and can finish strong as well. As it is Sydney, a ground that aides spinners than pacers, Kedar Jadhav in all likelihood should edge out Hardik Pandya to the XI. The pacers would be Khaleel Ahmed, Bhuvneshwar Kumar, and Mohammed Shami. Khaleel is the one who will lend diversity to the attack and Shami is a great exponent of the old ball, whereas Bhuvi is probably the best with the new ball and at the death. The two spinners India would field are Kuldeep Yadav and Yuzvendra Chahal, who operate well in tandem.